On March 28, 1979, the worst nuclear reactor accident in U.S. history occurred at the Three Mile Island power plant in Central Pennsylvania. 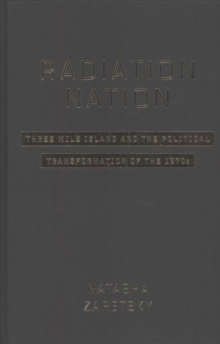 Radiation Nation tells the story of what happened that day and in the months and years that followed, as local residents tried to make sense of the emergency. The near-meltdown occurred at a pivotal moment when the New Deal coalition was unraveling, trust in government was eroding, conservatives were consolidating their power, and the political left was becoming marginalized. 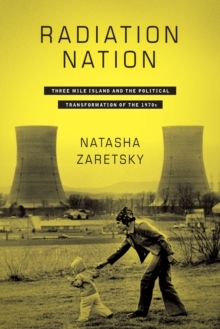 Using the accident to explore this turning point, Natasha Zaretsky provides a fresh interpretation of the era by disclosing how atomic and ecological imaginaries shaped the conservative ascendancy. Drawing on the testimony of the men and women who lived in the shadow of the reactor, Radiation Nation shows that the region's citizens, especially its mothers, grew convinced that they had sustained radiological injuries that threatened their reproductive futures. 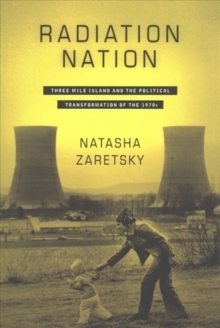 Taking inspiration from the antiwar, environmental, and feminist movements, women at Three Mile Island crafted a homegrown ecological politics that wove together concerns over radiological threats to the body, the struggle over abortion and reproductive rights, and eroding trust in authority. This politics was shaped above all by what Zaretsky calls "biotic nationalism," a new body-centered nationalism that imagined the nation as a living, mortal being and portrayed sickened Americans as evidence of betrayal. 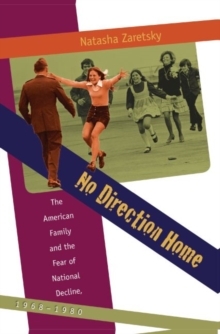 The first cultural history of the accident, Radiation Nation reveals the surprising ecological dimensions of post-Vietnam conservatism while showing how growing anxieties surrounding bodily illness infused the political realignment of the 1970s in ways that blurred any easy distinction between left and right.